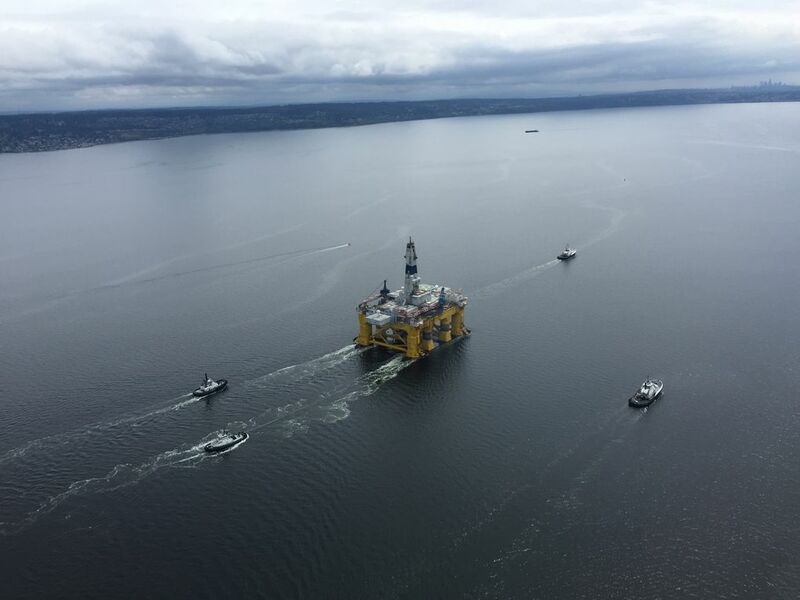 The rig, arriving in Seattle on Thursday afternoon, is the biggest piece of a 25-vessel fleet Shell will use for oil exploration in the Chukchi Sea off Alaska. The Polar Pioneer oil rig expected to arrive in Seattle on Thursday afternoon is the biggest piece of a muscular fleet Shell Oil has mustered in the Pacific Northwest to resume its controversial high-stakes oil-exploration effort in the Chukchi Sea off Alaska’s North Slope. 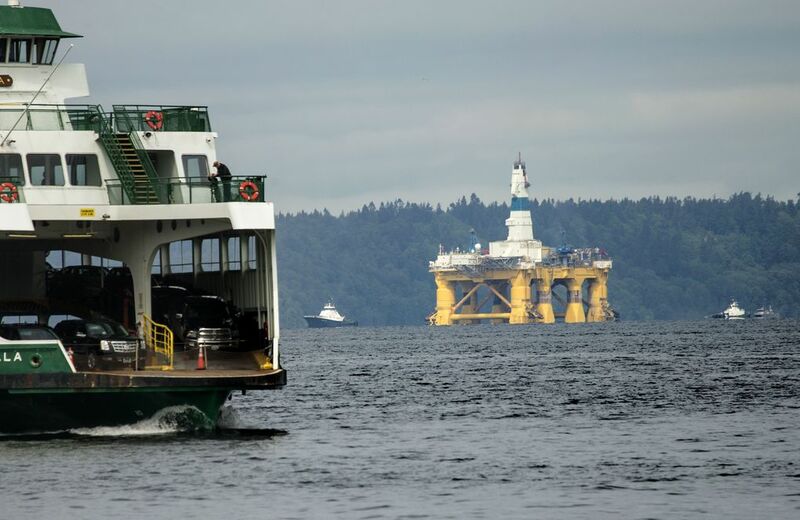 The company will have 25 vessels in and out of the Pacific Northwest in preparation for the season, according to spokeswoman Kelly op de Weegh, but Shell has been tight-lipped about detailing its plans. The Peninsula Daily News reported the Polar Pioneer began moving out of Port Angeles at about 1:40 a.m. Thursday for the approximate 12-hour trip to Seattle. Click here to track the rig’s movement. 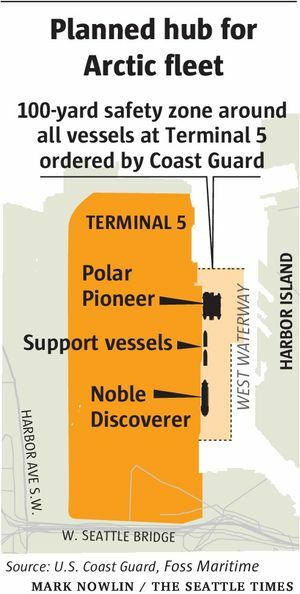 At Terminal 5 — now the center of a legal and political standoff between the city and the Port of Seattle — Shell contractor Foss Maritime plans to load drilling equipment and supplies for the two main vessels, the Polar Pioneer and the Noble Discoverer. Shell is moving into Terminal 5 despite a request Tuesday by the Port of Seattle commission that it delay the vessels’ arrival while the Port challenges a city ruling aimed at keeping the rigs out. Shell has spent more than $6 billion so far to finance its recent exploration off Alaska’s North Slope, an area that company officials view as one of the world’s top prospects for a major oil find. 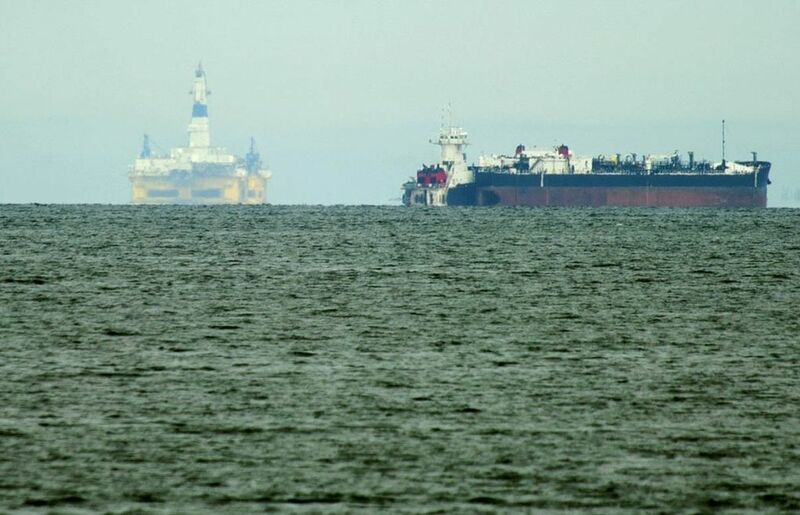 Even in a best-case scenario, any oil production in this remote Arctic sea is likely more than a decade away, and is expected to include construction of hundreds of miles of new pipeline running both underneath the sea and on land to connect with the trans-Alaska pipeline. Foss spokesman Paul Queary says Terminal 5 offers a deep-water berth by a full-service terminal, and has enough space to handle the big, heavy equipment needed to load a drilling rig. Terminal 5 has been upgraded so the 1,370-foot section of the waterfront intended for Shell’s fleet can hold both the drill rigs and support vessels securely. When the Polar Pioneer arrives, it will be moored at the northernmost corner of the terminal, Art Dahlin, Foss’ marine superintendent for Terminal 5, said during a terminal tour Wednesday. Large red cargo boxes are stacked along the terminal, waiting to be loaded by two big cranes onto the different Shell vessels. To date, 417 people have been employed on the project, and Foss expects hundreds more jobs in the coming weeks and months. Once the Polar Pioneer arrives in Seattle, 100 to 150 more longshore jobs are expected to be created, Foss safety and security manager Erin Pierson said during the tour. Environmentalist opponents of Shell’s drilling plans have announced that on Saturday they will take to the water in kayaks to protest the potential effects of oil exploration in the far North. Seattle Mayor Ed Murray does not plan to sue in an attempt to block Foss and Shell from using Terminal 5, said spokesman Viet Shelton. That’s because the city, in order to win a court order stopping terminal use, would need to persuade a judge that Seattle would otherwise suffer irreparable harm. If the Port, Foss and Shell defy the city Department of Planning and Development’s ruling that Foss’ current permit doesn’t allow the work planned for Shell’s Arctic fleet, Shelton said, the department will use its normal enforcement process — it will issue a notice of violation warning the Port to comply within a certain window of time. 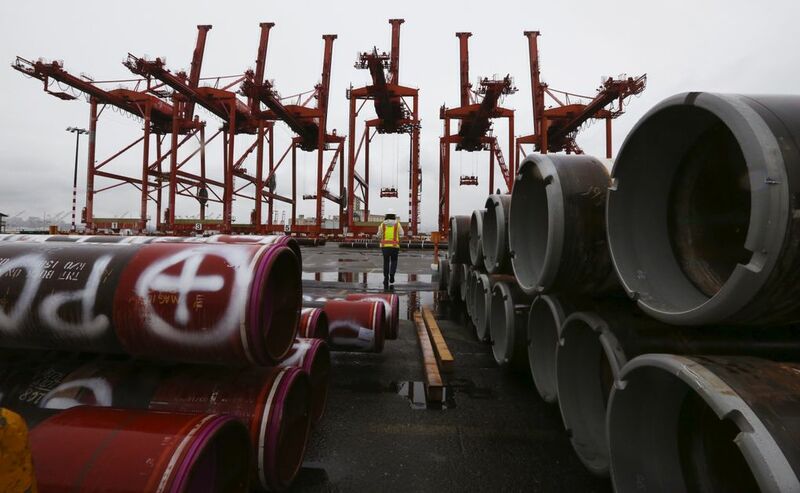 If the Port doesn’t comply, the agency will seek fines in Seattle Municipal Court, he said. Shell first drilled in the offshore Arctic back in the 1980s but abandoned the test holes during a period of low oil prices. Other companies also drilled offshore back then. In 2012, Shell resumed exploration under federal leases acquired during George W. Bush’s presidency. But that effort, despite years of planning, got off to a troubled start that undermined confidence in the company’s management prowess and helped fuel environmentalist opposition to developing the offshore Arctic. That summer, Shell drilled two wells. But the federal government did not permit those wells to go to oil-bearing depth. That’s because a containment device that was supposed to be on hand in the event of well mishap had failed during testing. Noble, the contractor operating the Noble Discoverer, pleaded guilty to eight felony counts and paid a $12.2 million fine for its conduct in 2012, which included falsifying entry logs that tracked the disposal of shipboard oil and illegal overboard discharges of wastewater. Another contractor, Louisiana-based Edison Chouest, came under scrutiny after a tow line from the company’s ice-breaking tug, the Aiviq, was severed from the Kulluk oil rig, which went aground off Kodiak Island. This year, both of these contractors are back on the job. The Noble Discoverer on Wednesday was at the Port of Everett and is prepping for shipyard work, according to Port spokeswoman Lisa Lefeber. The Aiviq on Wednesday was in Port Angeles with the Polar Pioneer. The Polar Pioneer must be towed north, while the Noble Discoverer travels under its own power. 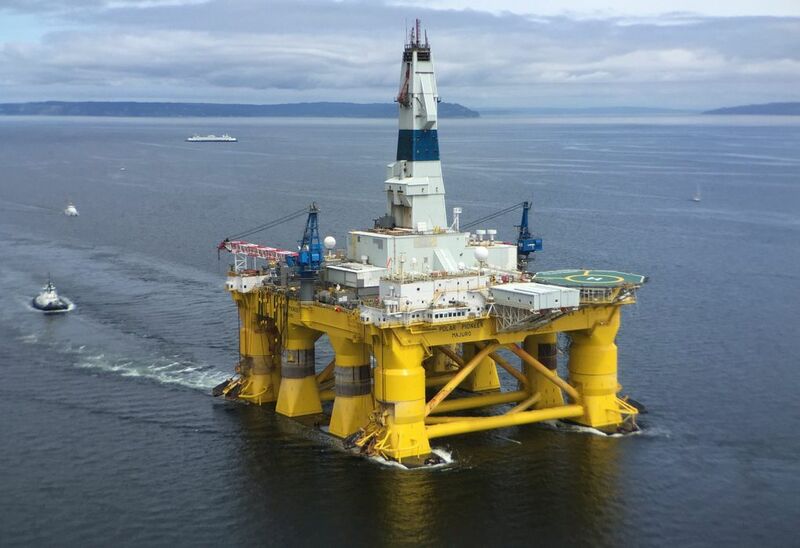 Shell officials say there have been major changes in its Arctic operation, including significantly boosting the involvement of maritime companies with extensive Alaska experience. Those companies include Crowley Maritime, which has two vessels — the Ocean Wind and the Ocean Wave — that will tow the Polar Pioneer rig north to the Chukchi Sea, as well as Seattle-based Foss Maritime. Foss holds the Terminal 5 port lease and will offer support services for the Shell fleet, and will tow the Polar Pioneer from Port Angeles to Seattle this week. “Their experience in Alaska and the Pacific Northwest are key reasons we expanded their participation in our operation,” Smith said in an email. The support fleet includes barges that strictly hold supplies, vessels dedicated to oil-spill response, and smaller craft for marine-mammal observers and ice reconnaissance. Shell’s offshore exploration effort won’t end this year. Shell, under its lease terms, can drill in the Beaufort Sea through 2017, and in the Chukchi Sea through 2020. And, the company, citing “numerous and unexpected delays,” has requested the federal government allow additional years for exploration. Before any offshore fields ever went into production. Shell would have to invest many billions of dollars more to develop shore bases, gas-processing plants, and other North Slope support services. Other oil companies also hold exploration leases in the waters off the North Slope, but none is actively drilling. In 2008, ConocoPhillips was awarded 98 exploration leases in the Chukchi Sea. 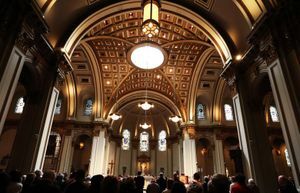 But it has yet to drill in those lease areas, and in 2013 put its plans on hold, citing uncertainty about federal regulations and permitting. “We believe this is a reasonable and responsible approach given the huge investments required to operate in the offshore Arctic,” said a company statement announcing that decision. Staff reporter Daniel Beekman contributed to this story. 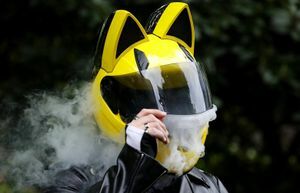 Coral Garnick: 206-464-2422 or cgarnick@seattletimes.com.